Expert drug addiction treatment is your best hope to stop using drugs, restore your mental, behavioral, and physical health, and reclaim your life. 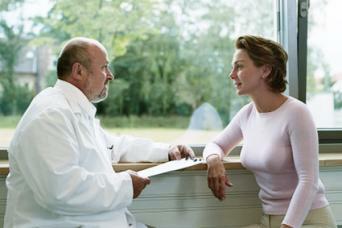 Look for the type of drug addiction treatment program that best fits your needs and circumstances. Drug addiction hijacks your brain and behavior and can sabotage your entire life until the drug becomes your focus, a ccording to the National Institute on Drug Addiction (NIDA). Based on NIDA's years of research, the types treatment that will help you restore your life include individual or group counseling, behavioral therapy, and maintenance medications. In addition, rehabilitation services, such as family, social, and job counseling, can help you repair dysfunctions in those areas. Addiction counseling helps you eliminate your need for drugs by exploring the reasons for your addiction behavior and the impact it has on your life. This type of treatment focuses directly on your drug use and the dysfunctions it causes in your life. Counseling allows you to develop strategies that quickly work to help you to quit using and stay off drugs. 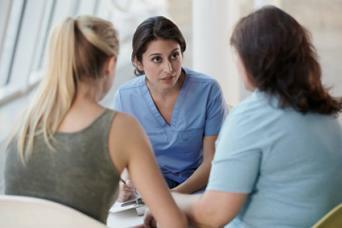 Individualized or group counseling sessions typically occur one to two times a week. They support you throughout your recovery and may also be combined with behavioral therapy. Counseling-only programs encourage you to enroll in a community support 12-step program, such as Narcotics Anonymous (NA), and refer you for any additional services you need. 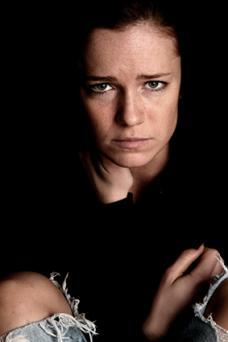 Drug addiction causes profound effects on your behaviour, driving you to crave and seek drugs. Behavioral therapy helps you modify and eliminate your drug-seeking and self-destructive behaviors and improve your life-coping skills. Treatment programs that focus on behavioral therapy refer you for any other services you need and advise you to enroll in NA. This treatment approach uses psychotherapy strategies, such as cognitive behavioral therapy, motivational incentives, and motivational enhancement, to help you understand your emotions and choices and how they affect your life, giving you the tools to control them and eliminate your drug use. The number of sessions per week and how long you stay in therapy depends on your situation. In addition to strategies to stop using drugs, you explore the multiple dysfunctions in your personal, family, social, and work life and learn ways and set goals to improve them. Strategies such as multidimensional family therapy (especially designed for teens) in individual and group sessions help you manage the impact of addiction on your family. You might have behavioral therapy in a group, individual sessions, or both. Group therapy takes advantage of group discussions and people sharing their experiences to create a supportive and therapeutic environment. Some people do better in this type of shared therapy, and this can promote your recovery and drug abstinence. As reviewed in the American Journal of Psychiatry in 2005, several studies have shown that behavioral therapy strategies are effective in the treatment of various substance addictions. A pooled analysis of some studies, published in the same journal in 2008, found that the effectiveness varied by the drug used. Maintenance medications diminish or block the physiological effects of your drug on your brain. This approach helps your brain recover normal function so you don't crave your drug and can focus on your full recovery. With these monitored medicines, you can avoid criminal activities to get your drug and avoid other risky behaviors and the associated health problems, such as HIV/AIDS and Hepatitis B and C.
Medication clinics that primarily use this type of drug addiction treatment often provide access to additional counseling and behavioral therapy. Methadone binds to the same receptors in your brain as narcotic drugs, such as heroin, oxycodone, and morphine, without producing the same destructive effects. This helps to reduce the cravings, seeking, and risky habits for your usual drug. Methadone maintenance has used for years in licensed methadone clinics and is an effective treatment for opioid addiction, according the U. S. Centers for Disease Control. You take it for 12 months, or longer if you need it. Naltrexone blocks narcotics from binding to their receptors so your drug has no effect on your brain. According the Mayo Clinic, you have to be off your drug for at least seven days before starting naltrexone, otherwise you will have withdrawal symptoms. Naltrexone maintenance is useful for people who are highly motivated to maintain complete abstinence after detox, such as professionals, athletes, and parolees. Your dosing and how long you take naltrexone depends on the details of your addiction. Studies show that maintenance medications are effective in treating drug addiction but are even more effective when combined with counseling and behavioral therapy and other rehab services. Drug detox is not treatment but gets the drugs out of your system as the first step in an addiction recovery plan. Some treatment programs may have you stop your drugs cold turkey, while others let you go through gradual withdrawal. Cold turkey detox is usually managed in an inpatient facility to make it safer and kinder to cope with drug withdrawal symptoms, such as agitation, anxiety, tremors, and sweats, according to Harvard Medical School. You receive medications to make it easier to pass through this phase. If you are using more than one drug, you may need more than one medicine. With gradual detox, you reduce your drug dose in steps instead of quitting cold turkey. This helps your brain and body adapt to being without your drug and recover normal function. During that time, you may take a substitute medicine, such as methadone, to help reduce the cravings for your usual drug. You may continue this medicine after detox. 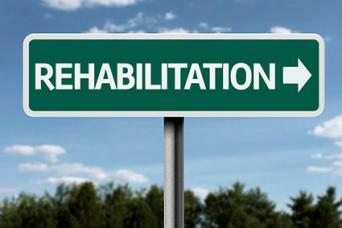 Addiction programs vary in the types of drug addiction treatment they provide. According to the NIDA, the most effective addiction recovery considers the effects of your drug use on all areas of your life and combines research-based treatments and oth er s ervices in a plan individualized to a your situation . Effective treatment lasts at least three months and should continue as long as you need it, which depends on the severity of your addiction and other psychological disorders you may have. Your level of motivation to quit your drugs and stay in treatment is a key factor to your successful recovery. You are more likely to relapse if you stop treatment prematurely. The one-year Drug Abuse Treatment Outcome Studies (DATOS) on different types of drug treatment programs in the United States reported in 1998 showed reductions in cocaine and heroin use among users after six months in all types of programs. The five-year followup study reported in 2003 showed similar findings. It might not be easy to decide what type of drug addiction treatment is right for you or where to get it. Ask your doctor for recommendations to a program or call or visit a facility to make sure they provide the types of treatment and services you need or provide easy access to additional care. If you don't have a severe addiction, or your life is not significantly affected yet, you may need only addiction counseling and/or behavioral therapy or a maintenance medication in an outpatient treatment setting. However, you might benefit more from a program that has close links to additional rehabilitative services if you need them. If your addiction is more severe and affects multiple aspects of your life, or you are on multiple drugs, you will benefit from comprehensive and intensive treatment, either in an outpatient or inpatient facility. Some experts, such as NIDA, consider drug addiction a lifelong, chronic disease like diabetes or high blood pressure. Because of this, your treatment program should also have a plan to help you avoid relapses and maintain your sobriety or treat your relapses like any other chronic disease. There are treatment programs for teens or pregnant women, and those that accommodate people with felony or criminal sentences. Some programs emphasize one type of therapy or another or have a philosophy of treatment in their therapy, such as those that incorporate Christian principles. For successful recovery from your drug addiction, consider the differences between getting your treatment in an outpatient or an inpatient facility. Each type provides a different environment and intensity of treatment, and one type may have advantages over the other. Some outpatient drug treatment centers offer only supportive counseling and information and refer you to other services. Others focus primarily on behavioral therapy and offer no drugs, while others are mainly medication programs, such as methadone clinics. 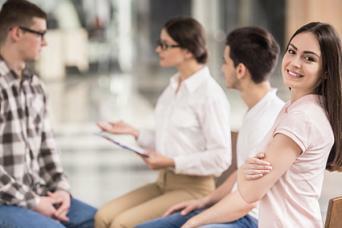 Comprehensive outpatient programs include all types of addiction treatments and services and can be as effective as inpatient programs, according to NIDA. Inpatient, or residential rehab programs, provide comprehensive treatment and rehab services in an environment where you can fully engage in your recovery without the commitments, distractions, and temptations of your usual world. After inpatient treatment, you may continue in an outpatient program or first spend some time in a sober living facility. Drug addiction is a complex, chronic dysfunction that can be treated effectively but consider that your recovery is a long-term commitment. Stay in treatment as long as you need and don't hesitate to ask for help or return to treatment for supportive and psychotherapy or medications if you have relapses.